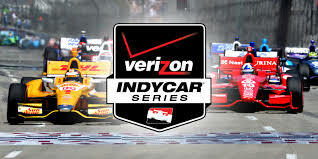 I absolutely love IndyCar and have been looking to 2015 with much anticipation. I am intrigued with what Chevy and Honda will come up with for aero-kits. How much different will the car look from the current Dallara version and how noticeable will the look differ between Chevy and Honda? Will the casual fan be able to tell? How much of an increase in speed will this bring? How will it effect fuel mileage? Another positive piece of news that came out this week was the new Indy Lights Chassis IL15 getting it’s first test run at Mid-Ohio. Check out Racer Magazines story, which includes video. I would expect this to inject life into the Indy Lights Series, as this update makes the technology relevant for moving up to IndyCar. The other bit of news I have been anticipating is the 2015 schedule. We just received the latest update from Racer Magazine and I will refer you to their coverage, instead of regurgitating the information. What did surprise me was this quote from Mark Miles “I think the schedule will be very, very similar. We have the same number of race weekends, between 14 and 15, and the same number of races (18).” The only addition appears to be the two international races in Brazil and Dubai. I thought about this for a minute and something didn’t jive. I seem to remember Mark Miles saying that fans would basically have to ride out 2014 but that the Series was going to ramp things up starting in 2015, including the schedule. One thing God did give me was a sharp mind to remember information, so I did the logical thing. I went to Racer Magazine and did a quick search “2015 IndyCar schedule.” I would ask you to do the same. I would like to point out three articles that are relevant to the 2015 IndyCar schedule. The first article is from August 14, 2013 and Miles mentions Elkhart Lake, Laguna Seca, Watkins Glen, Phoenix and the Circuit of the America’s. The tenor of the article leads one to assume that the Series is working hard to add these races for 2015. The second article I’ll point out is from September 17,2013 in which Derrick Walker answer’s fans twitter questions. He answers one question about the 2014 schedule, which will have no new venues, but that 2015 has quite a few possibilities. He also mentions adding some international races as well. The article goes on to state that no less than four new venues could be added: Elkhart Lake, Laguna Seca, The Circuit of the America’s and Providence, R.I. Robin offers a feeble attempt for oval fans that Phoenix, Michigan and Chicago could be in play but it’s almost an afterthought. In recent months two other ovals have been mentioned, that being Nashville and Gateway. Once again, the tenor of the article is designed to get fans frothing at the mouth for more venues and a bigger schedule. If you take the time to do the search on Racer, you will find that it’s continually talked about by Robin Miller in his mailbag edition. Each time he offers hope that there will be more venues in 2015. Now do you see why the most recent article just didn’t jive with me? So what happened between now and then? Will anyone ask Mile’s or Miller the tough question, not to stir up trouble, but what has been the biggest obstacle? Is this Talkin Terry part Duex? Instead of going negative or a tirade like some on twitter are prone to do, I have a few suggestions. First, let’s start by enjoying each venue that’s on the schedule. Stop nit picking and complaining about all that’s wrong with IndyCar. Embrace each venue and do something to support that venue, which in turn, will help the sport we love. Second, stop fantasizing about IndyCar’s dream schedule. Reality dictates what will occur and until the economics make sense for IndyCar and the “dream” venues, it’s not going to happen. Fans have unrealistic expectations in regard to the schedule and need to learn to be content. Stop wasting so much time on pipe dreams. Third, IndyCar needs to either keep future schedule discussions in house, so that they don’t help fuel unrealistic expectations or be honest and realistic when discussing it in the public square. I can’t imagine Robin Miller made these possible venues up, so someone was giving him this information. If it’s a dream and these venues never had a chance, why bring them into the discussion? It only serves to work people into a frenzy when it doesn’t materialize. Lastly, I read about people complaining that certain venues are boring on television. I’ve read comments that Mid-Ohio is boring and dependent on strategy. Not every race is going to look good on tv but if you were at the track, it’s very entertaining. Get up out of your comfy chair, shut the 2D screen off, enter the 3D world and attend the venues that are within reason for you to attend. Not only will you enjoy the race at the track, you get to enjoy it with thousands of people who love it like you do and you can talk about it with them. Every time I go to a venue, I make new memories whether it’s the race, interacting with drivers, friends and fans, the sounds, the smell or the guy on the scooter being thrown onto the asphalt for running into the back of a golf cart. This really did happen at Mid-Ohio this past weekend. I’m sorry but it was funny, plus that’s what you get for not paying attention and trying to look cool, while you play around with the throttle. Folks, we still have three races left in 2014 and the final race is double points. It looks like one of the Penske drivers are going to win the championship, although they both have been known to choke down the stretch. Who knows how it will play out. I would love to see the schedule expand to include more venues but right now we just need to be realistic. Let’s all take a deep breath and enjoy what we have, including some unbelievable up and coming drivers. IndyCar has a bright future, it’s just going to take a little time. Thanks John for the comment and insight. It raises two questions: 1. 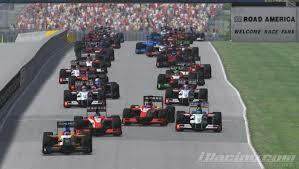 What, if anything, is IndyCar doing to lower sanctioning fees to host their races? 2. Why are media outlets reporting that certain tracks could be added to the schedule when there’s no chance? It’s giving fans false hope. Like many fans, I’d like to see venues like Watkins Glen, Road America, Phoenix and Cleveland given consideration for the future schedule. But Printup said it well – if a track doesn’t have a major title sponsor lined up, it’s impossible for them to come close to breaking even for an IndyCar event. The entire business model needs reworked. I’m working on a story about this very topic right now.